January | 2010 | Where is Yvette? 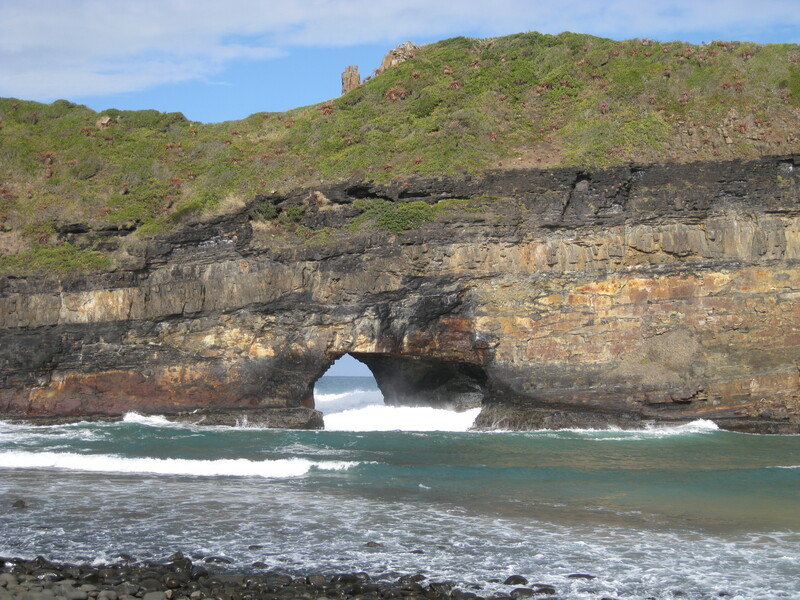 One morning in Coffee Bay I woke up to learn that a bunch of people were planning on a hike to a site called Hole in the Wall, about 10km to the west along the coast. And because the region is so lovely that it’s just begging to be explored, I joined up. 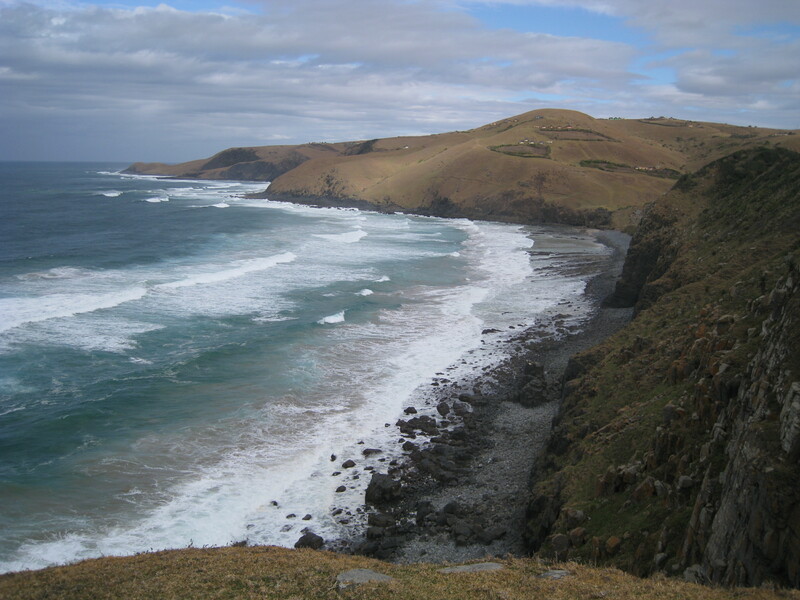 Hiking around here along the coast isn’t just a stroll along the beach but rather a series of ups and downs, but it is absolutely lovely isn’t it? A view down from one of the steeper parts towards a little hole in the wall. Just lovely. One thing I love about this part of Africa is you have all this great plant life growing all around- to the left is part of a cacti forest consisting of a type my mom has a sizable specimen of at home, which is absolutely dwarfed by these cacti that “escaped from their pots” as my mom likes to describe plants in nature. 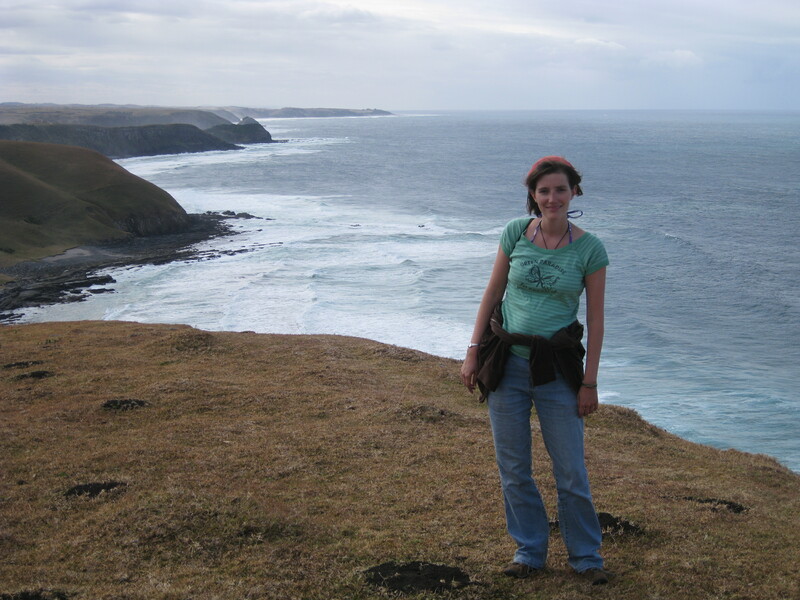 Somehow at long last we found a beach and not just a cliffside to walk along. This was about three hours into the walk and we’re just about there, the hole in the wall is just beyond that little hill in the picture. 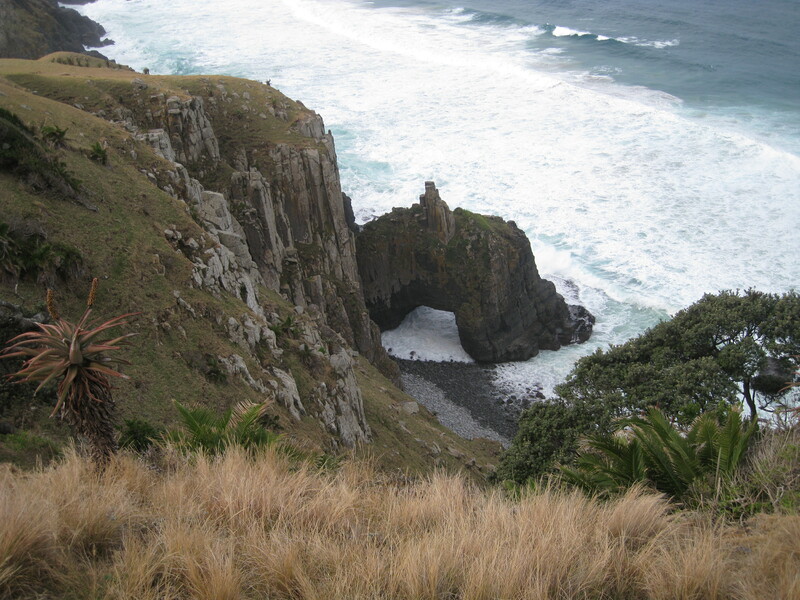 The final hiking destination, the Hole in the Wall, not to be confused with Hole in the Rock in New Zealand. This one’s actually much smaller- hard to get scale because the tide was up and the water was cold but someone could swim through it but not more than that. And then, because no one was particularly interested in hiking 10km back to Coffee Bay, we got a ride in the back of a local pickup truck. That’s the African way. 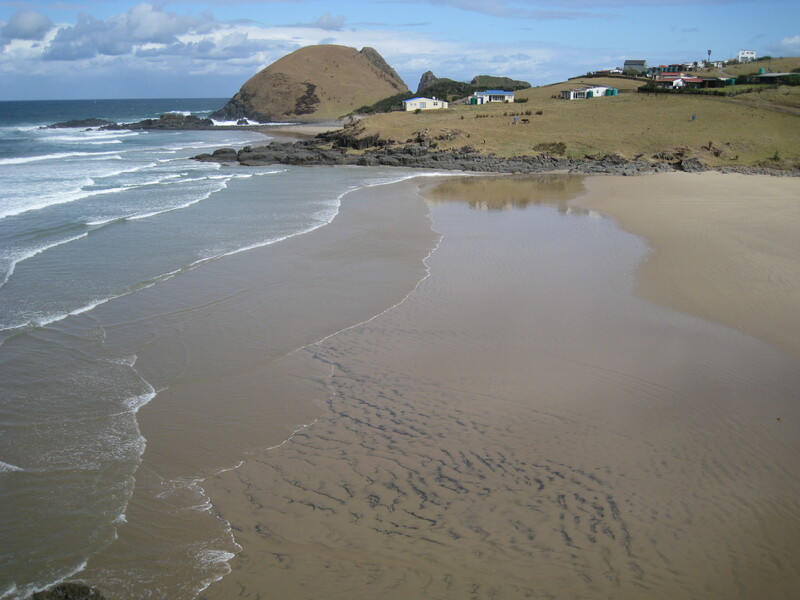 Coffee Bay is little town that is one of my favorite places in South Africa- had I not had a flight to catch I probably would have stayed there quite awhile. 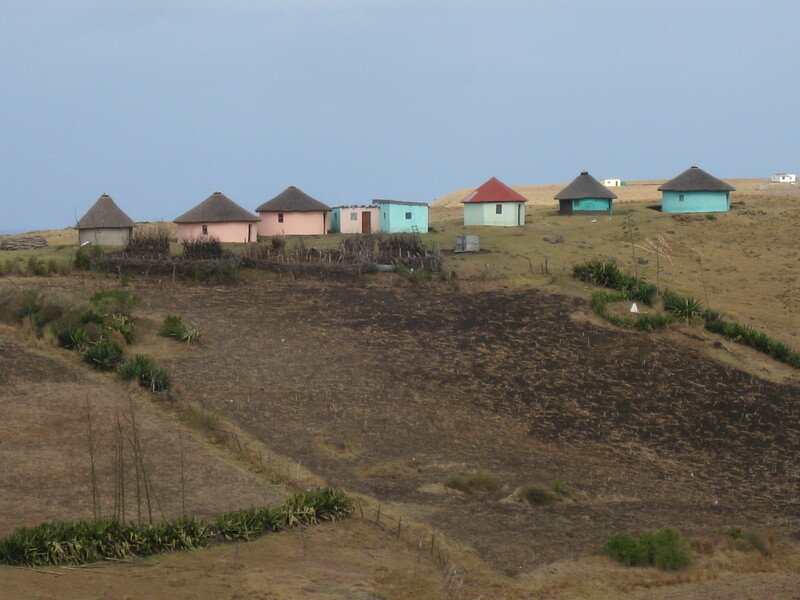 In short it’s a tiny surfing spot in the middle of traditionally Xhosa territory (the second largest tribe in South Africa, after the Zulu) dominated by hills sloping into the ocean dotted with colorful houses called rondavels all around. Only backpackers really come here and the people get into deep philosophical conversations for reasons I never quite worked out but had surprisingly little to do with the guy selling dagga outside for a couple dollars (lots of Rastas in this part of the world!). Looking down at Coffee Bay at sunset. A beautiful but very isolated stretch of the Indian Ocean- not completely isolated though because you’d see several tankers out at sea on any given day rounding Africa a la Vasco da Gama. 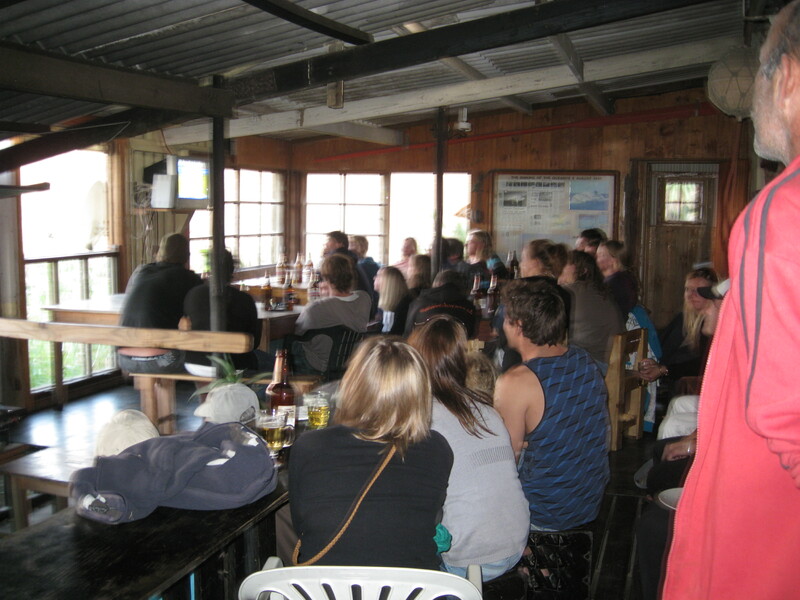 The bar/restaurant I took the picture from, during a Springboks match against the UK/Ireland. Sorry New Zealand, but South Africans are definitely the biggest supporters of their rugby team I’ve seen! The only TV for miles is the tiny one to the left of the pole in the picture, yet everyone crowded around it. 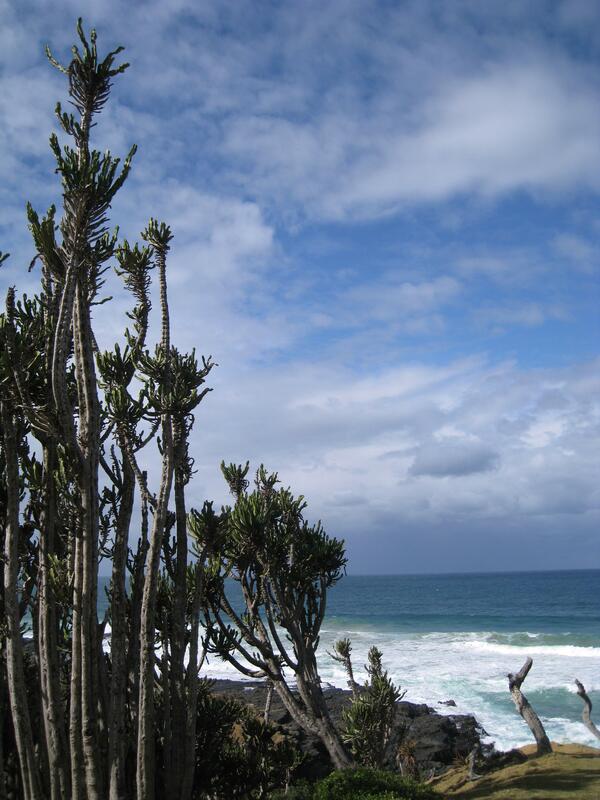 So what is there to do in Coffee Bay when not watching the rugby match? Lots of things I’ll talk more about later, but surfing is very big in this part of the world all along the coast because of the beautiful large waves they get, some of the best and most consistent conditions in the world. I’ve never gone surfing before but had to try it, so for about twenty bucks I got a board, wetsuit, and a free lesson. And hey guess what, turns out I’m really bad at surfing, even compared to others who hadn’t done it before! Just couldn’t get the nerve to balance correctly on the board before toppling, and swallowing seawater is only fun so many times. So all in all I spent two hours in the water with a surfboard and most of the first was up before I stood up, then a little more to prove I could before deciding body-boarding was a more fun use of time. Yeah not as awesome, dude, but when you’ve only got an afternoon it’s more better to have fun rather than keep getting battered by the waves! 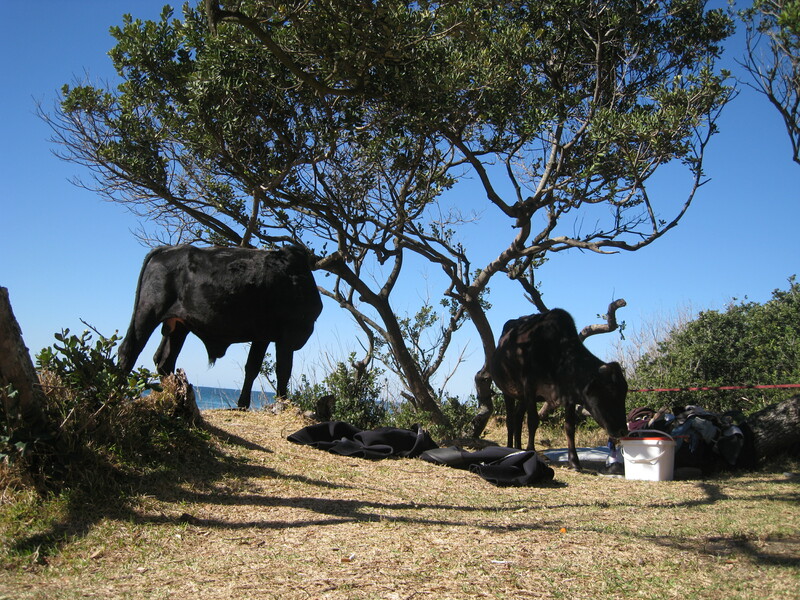 Some cows on our beach around lunchtime. The Xhosa are cattle people and the cattle are actually the centerpoint of one of the weirder stories in history, when a girl in 1856 went to fetch water and came back saying she’d met the spirits of three ancestors who told her the Xhosa needed to kill all their cattle and destroy all their crops. This would cause their dead ancestors to return to drive the white people away, and in return they would be given healthier cattle than those they had before. And the scary thing is the Xhosa did it- the chief believed her and ordered all their wealth to be destroyed, and even those who didn’t believe complied because obedience to the chief was unquestionable. So there was widespread starvation and even cannibalism, finally allowing the British to take over the Xhosa lands, and the moral of all this is don’t listen to teenage girls who claim they saw spirits. 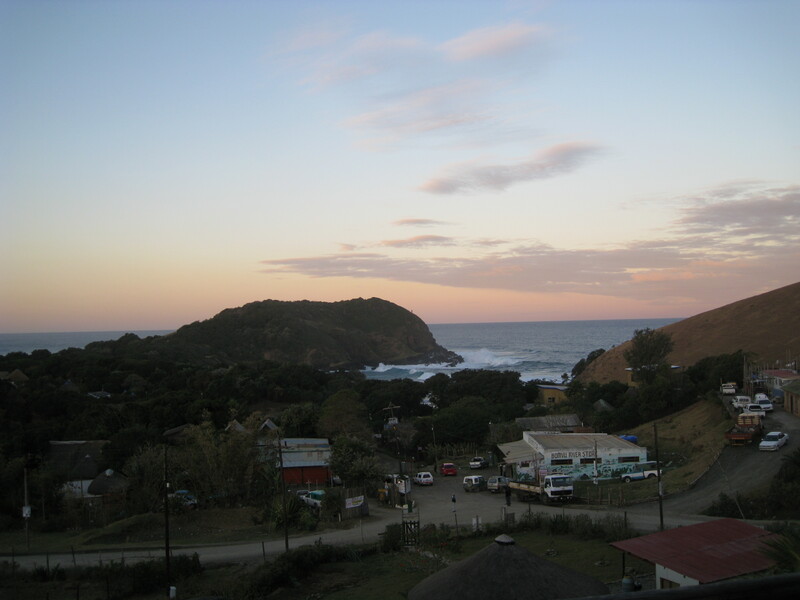 As a final picture, here’s one I took after surfing from outside the rondavel I had to myself at the hostel, called the Coffee Shack. (By this point in the trip I was upgrading from the bunks in hostels, as I’d rather have a rondavel than a few extra dollars back home!) The reason I show this is because the non-rondavel part of the hostel (ie bar, restaurant, reception, comfy hammocks, etc) are all on the other side of the channel pictured here, which filled with water at high tide. So you were right next to the hostel when the tide was low, but circumventing the channel was a good fifteen minute walk around during high tide!